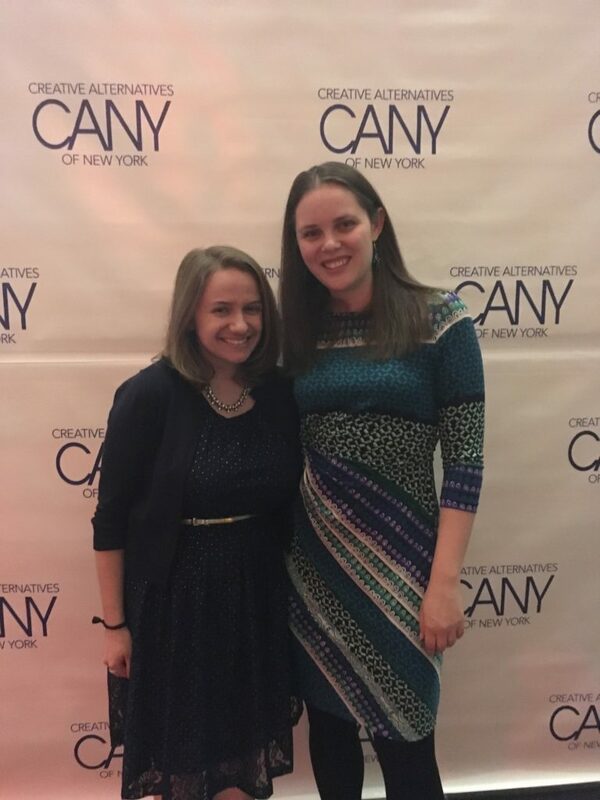 I had a lovely time attending with my friend Allie of The Broadway Project (and frequent theater partner-in-crime). I’m a real believer in the power of the arts to help us grow and heal, and the idea of using drama therapy to overcome trauma is compelling. As we watched Ron Tabano, principal and CEO of John V. Lindsay Wildcat Academy, an alternative high school that has been CANY’s partner for 25 years, accept a Lifetime Achievement award, we got to hear him talk about the kind of work his school has been able to do through partnerships with programs like CANY. Ron talked about the fact that every student needs a champion and about the difference support and structure can bring to a student’s life. 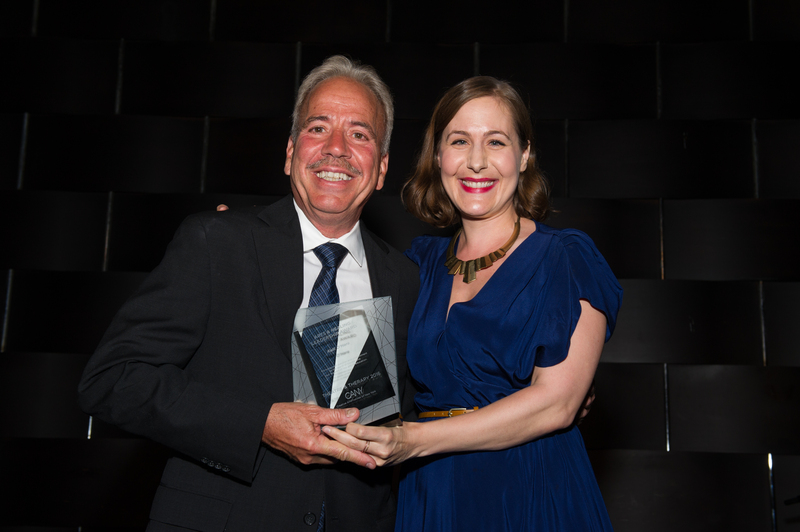 Ron Tabano, with CANY’s program director and drama therapist Meredith Dean. Photo credit Christine Butler. 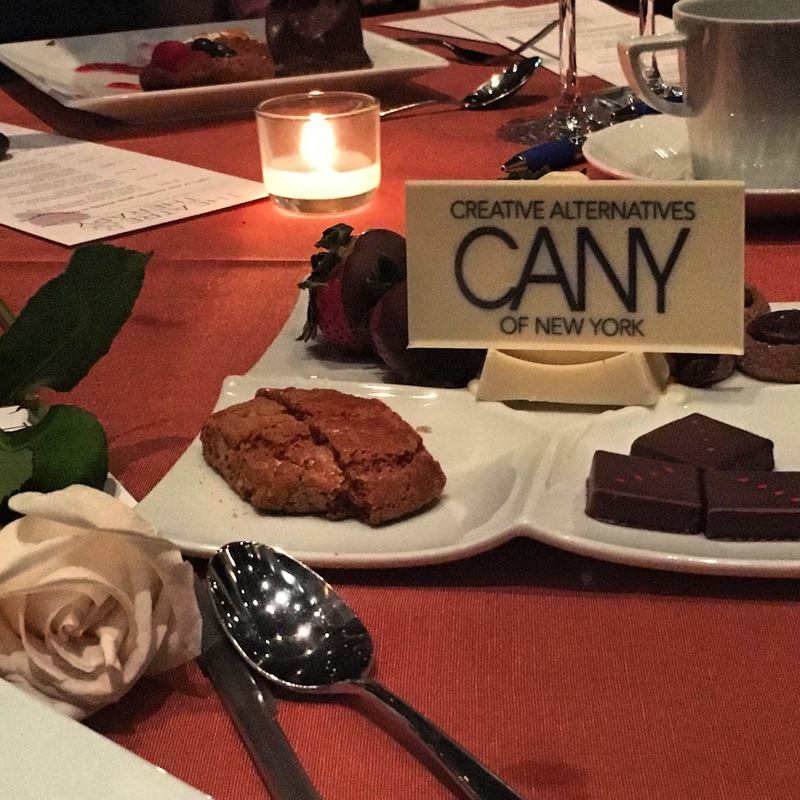 Over the course of the evening we learned about the people CANY has helped, even hearing from participants themselves, in person, and via cards available at our tables. 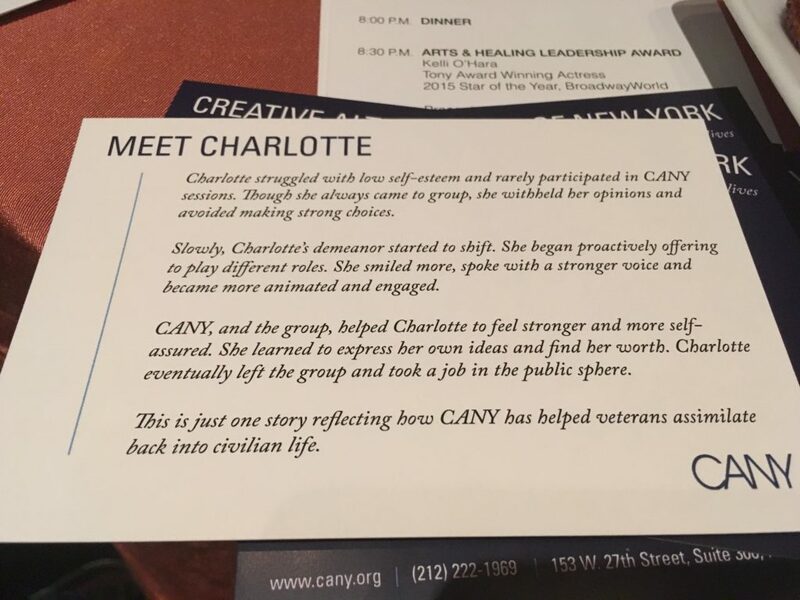 CANY works with such diverse populations, including veterans, seniors, students from impoverished backgrounds, and people struggling with mental illness or developmental disabilities. Drama therapy can help build confidence and empathy, connecting people with each other in a supportive and safe environment. 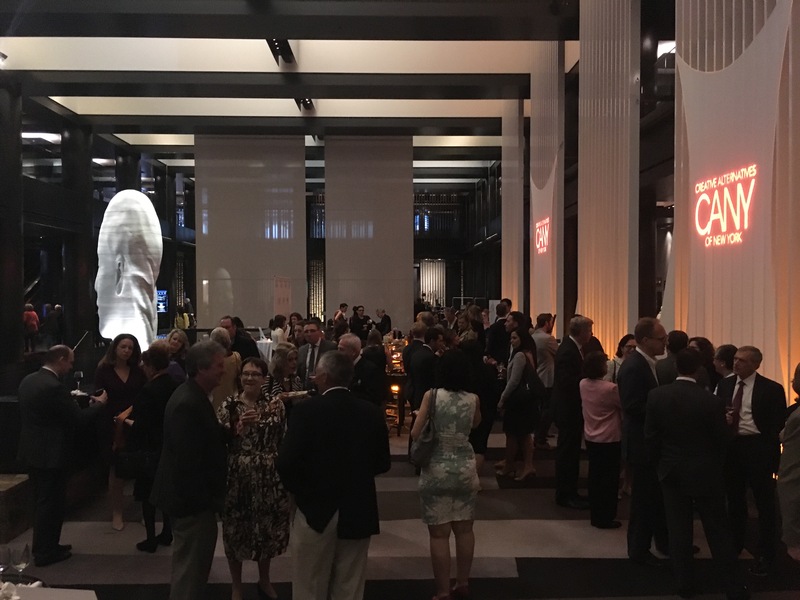 Hearing these kinds of stories can be overwhelming, but the CANY gala struck the right balance of inspiring and joyful, appropriately weaving music and humor into the evening. Ann Hampton Callaway was a wonderful opening host, singing a gorgeous of mash-up of “People” from Funny Girl and Sondheim’s “Being Alive” from Company. She later had us all in stitches with an improvised ode to the gentleman who won a “guess how many candies are in this jar” contest, based on his answers to a few questions. 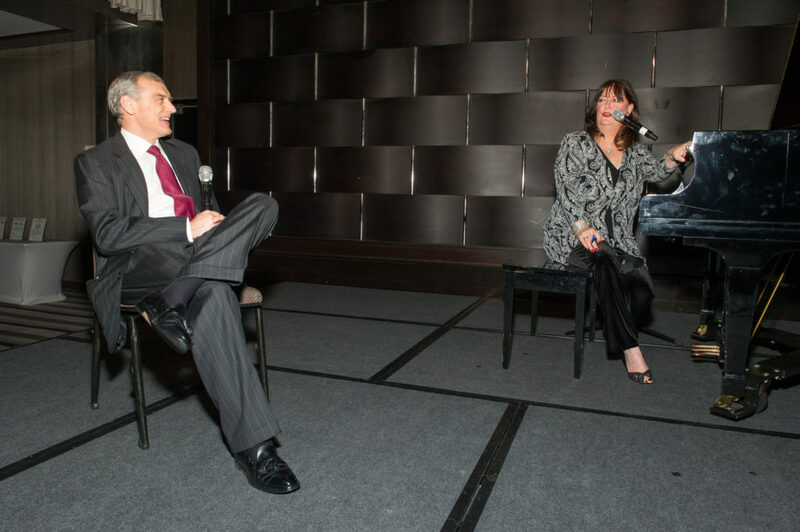 Ann Hampton Callaway serenades Joseph Shugart. Photo credit Christine Butler. I especially enjoyed hearing Kelli O’Hara speak. Her acceptance of her award was heartfelt and moving as she spoke of having always had the sense of singing for someone, that her gift was meant to be shared and that the power was in the sharing. That idea resonated with me and with CANY’s mission of art with purpose. I don’t know that art has to always bring meaning to someone, but I think the fact that it can and does is so important. After she accepted the award, Kelli sang “Make Someone Happy”. It was the first time I’d ever seen her perform, and she was stunning. Kelli O’Hara and Ann Hampton Callaway. 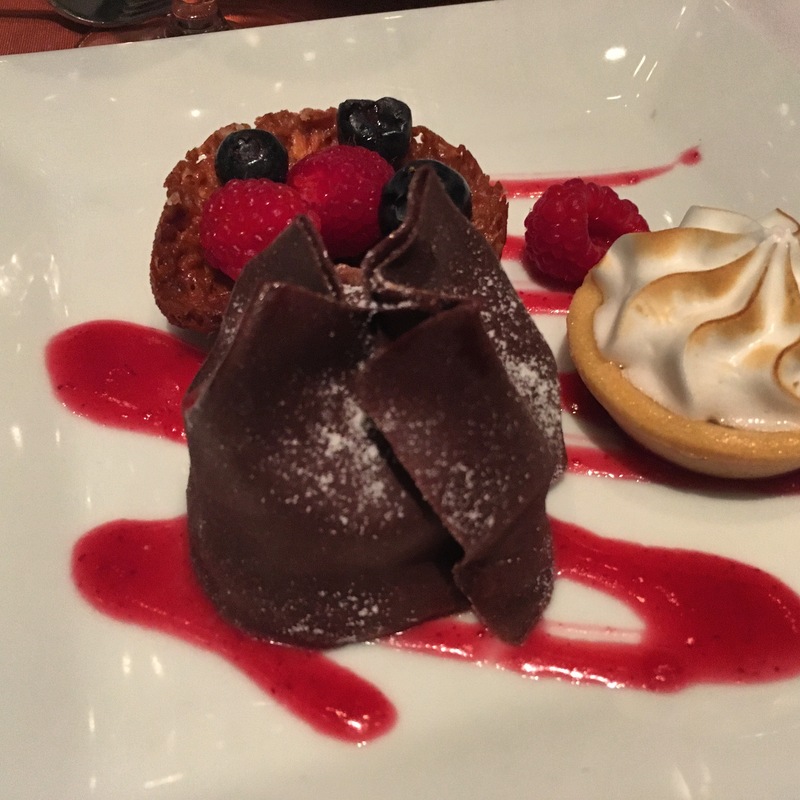 Photo credit by Christine Butler. Thanks for the invite, CANY!